Russia has a special calling in the world, and the country has to prove it both to Russians and foreigners, head of the Synodal Department for Church and Society Relations Archpriest Vsevolod Chaplin said. Moscow, March 28, Interfax – Russia has a special calling in the world, and the country has to prove it both to Russians and foreigners, head of the Synodal Department for Church and Society Relations Archpriest Vsevolod Chaplin said. I think we have a chance to say the word of God’s truth in the context of all this struggle of ideas. In various fields,” the priest said in his interview to the Zavtra paper speaking to its editor-in-chief, famous wrighter Alexander Prokhanov. 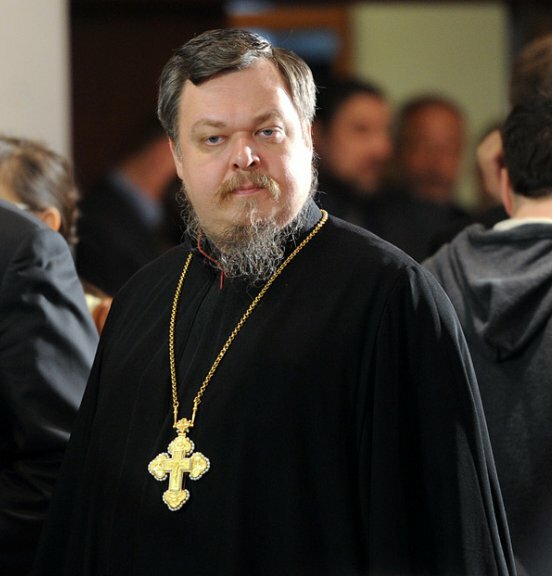 According to Father Vsevolod, in the economical field we have to say that money-lending is “a sinful thing and it is better to give it up and no one will die of hunger, if we do it,” in relations among peoples we have to say that “we have the right on variety of nations – legal, cultural, political, economical,” that we have to move from forceful subordination to peaceful means of international relations. “We have all these things in our Orthodox ethics. We can say about it, but we can keep silence. We can’t keep saying that we can exist by ourselves, without any spiritual work, rest on our laurels, repeating that we are messianic people and we can do whatever we like. It is not true. The Lord gives charisma, but He can take it back,” the Church official is sure. The priest noted that in conditions when a major part of the elite keeps “soul together with their treasures, outside of the country,” “it is a big question” whether they manage to remain independent. “But we have a chance. Not to lose it, not to betray it, not to be tempted by sweet carrots and not to yield to a stick – that is what we have to do. Otherwise, the Lord can disgrace us and in fifty years all talks about our messianism can become topics for cynic historians to reflect on: they were great people, but they were bought for a mess of pottage,” he said.